Notice: This is an old thread. The last post was 2378 days ago. If your post is not directly related to this discussion please consider making a new thread. This book follows on from the first volume, on protozoan and metazoan infections, of a three-volume series. It focuses largely on finfish and considers non-infectious disorders of development, growth and physiology of wild and captive species. Various sections address topics such as tumourigenesis, stress physiology and the effects of stressors on particular processes, and the effect of environmental factors (including toxic substances) on fish health. 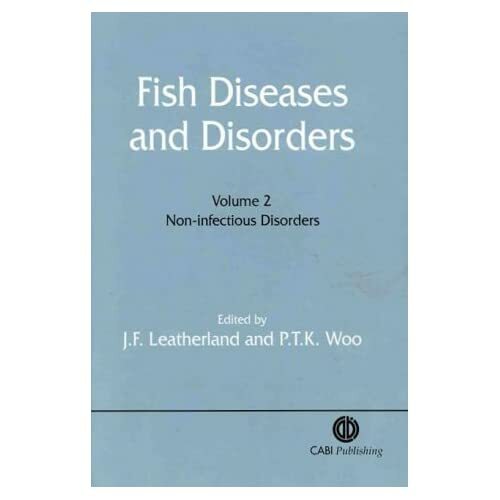 The economic implications of non-infectious disorders in intensive aquaculture are of particular importance, and a chapter is devoted specifically to this. The final chapter describes evaluation methods for the assessment of disorders at the individual, population and community level. The book is suitable for zoologists, veterinary scientists and those concerned with fisheries and aquaculture. Last edited by Motoko; 14th October 2012 at 04:42 AM. Reason: ADD INFO, IMAGE, DESCRIPTION. TEMPLATE.